While the South boasts of its graciousness and generosity, the truth is that many of its elderly citizens receive no such warmth or hospital. In fact, it is actually the opposite. Many of this group suffers great injuries including bed sores, falls, abuse, and improper care. Commonly, they suffer these injuries in nursing homes but they can happen anywhere. Following this kind of injury, the next step has to be obtaining zealous counsel to fight for your rights. 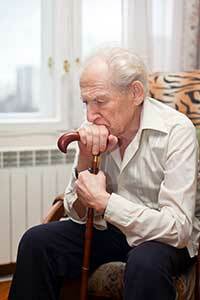 If you have been the victim of elder abuse, you deserve justice and compensation. What follows is a review of the South Carolina laws that govern elder abuse and bed sore incidents. More than most states, South Carolina puts responsibility on ordinary people to stop elder abuse and this is most clearly seen in the last line of the above quotation. It says anyone with “actual knowledge” must act. Ordinarily, state legislatures simply require professionals to step up, not layman who may have witnessed the incident. This represents a very broad scope of liability. Median recovery for South Carolina elder abuse cases is $100,000. 18% of South Carolina elder abuse cases obtain more than $1,000,000. Median recovery for South Carolina bed sore cases is $40,000. 7% of South Carolina bed sore cases obtain more than $1,000,000. Action for personal injuries: 3 years. SCCA § 15-3-510. Action for medical malpractice: 3 years. SCC § 15-3-545. These laws have various exceptions. Therefore, it is important that you speak with an attorney to understand exactly how much time you have to bring your case to court. Laws: If you would like to read more about the laws of elder abuse in South Carolina, click here. Wound Care: Locate a wound care professional serving South Carolina here. So get in touch with us today. We can begin the process of recovery as soon as tomorrow. Unlike other law firms which may occasionally prosecute bed sore cases, the attorneys at Nursing Home Law Center LLC regularly represents families in nursing home negligence and medical malpractice cases involving bed sores. We have a nurse and physician on staff who can assess each case to determine who should shoulder the responsibility for the case. If your loved one developed a bed sore while at a South Carolina facility contact our office for a free case review. We have helped families from across South Carolina get the justice they deserve. Some of the cities we’ve served include: Charleston, Columbia, Rock Hill, North Charleston and Mount Pleasant. Talk to our team before you consider taking any further action. Mean recovery for bed sore cases was approximately $41,000. Compared to the national average, they recovered about $2,000 less. About 24% of bed sore cases involved deaths. About 7% of bed sore cases recovered more than $1,000,000. About 9% more bed sore cases recovered more than $1,000,000 across the country. This case began shortly after a woman passed away while residing at a nursing home. Her family members brought a lawsuit against that facility and charged it with negligence and her wrongful death. They alleged that the nursing home failed to provide the decedent with proper care. Specifically, they contended that the defendant facility did not turn the woman over and that led to her receiving bed sores. Additionally, they argued that she suffered from dehydration and malnutrition because of its insufficient care. The defendant did not accept any of these claims and or any responsibility for the woman’s death. After a trial on the merits, the victim’s estate received $280,000. After spending not more than two weeks in a nursing home, the victim in this incident had already contracted pressure sores that led to sepsis. She was only 46 years old and immobile when she was entered into the facility. To recover for her injuries, she sued the nursing home where she was staying at the chief nurse who was taking care of her at time. To both of them, she argued that they failed to meet the proper standard of medical and nursing care and that because of that she suffered injury and damage. She contended that they should have had a better plan in place to prevent bed sores as well as provided better supervision and training. To these allegations, the defendants cried foul and countered that there was nothing they could have done to avoid this outcome and that they acted appropriately. However, both of them preferred settlement to trial and so they offered her $500,000. She accepted the agreement. A victim in her early seventies brought this suit after she developed bed sores while under the care of a medical facility following a procedure. She argued that she had no sores prior to her time there and that because of the defendant hospital’s deficient care and supervision she sustained them. Additionally, she maintained in her complaint that they could have prevented the spread and complication of the sores had they provided more staff, supervision, and training. The defendant hospital disagreed and fought vigorously at trial for its innocence. The jury originally awarded the woman $2,200,000 but the judge lowered it to $300,000 (through a ruling known as a remittitur). Ironically, this was the same amount of money that the defendant offered the plaintiff prior to trial. Here, a man was released from a hospital into the care of a nursing home. While at the facility, he developed bed sores that eventually had to be removed through an amputation. Subsequently, he filed a lawsuit against the nursing facility. He alleged that the defendant home did not properly care for him and that as a result he suffered bed sores and a below-the-knee amputation. He sought damages for medical bills, pain and suffering, and lost quality of life. The defendant nursing home denied that it was at fault and the amount of damages that the plaintiff sought. Eventually, the jury decided that the plaintiff was entitled to compensation from the nursing home and fixed the proper amount at $310,000. CASE: MACK VS. MANOR CARE INC. The victim in this case was a woman who was living at a nursing home during the time in question. While living there, bed sores began to grow on her feet and even developed into gangrene. She sued the facility because, as she maintained in her complaint, they did not adequately monitor her for bed sore growth and infection. Due to this failure, she claimed it was responsible for her injuries. In response to this, the defendant nursing home replied that she admitted to its facility for treatment related to bed sores and that they did the best they could. They even transferred to a hospital for further review and care. However, in the jury’s opinion, this was not enough. They awarded the victim $200,000 and found that the defendant nursing home was negligent in its care of the plaintiff. This case centered on a man’s bed sores, dehydration, and malnutrition while he was a resident of a nursing home. Through his counsel, he brought a case against the home he was living at for negligence. It stated a claim for negligence and offered several reasons why the defendant facility should pay him compensation including the fact that they failed to hire and train adequate personal, that they failed to provide sufficient supervision, and generally ignored the growth and spread of his bed sores. The defendant denied liability but this did not stop the jury from a reaching a separate conclusion. It found for the man and gave him $200,000.